Sometimes we get bombarded by so much marketing and sales information that we no longer have any idea of what truth is and what is a mere sales pitch. With this in mind I have decided to create a list of my personal favourite pool products. This list is not a list of products that have been scrutinised through a scientific process. These are simply products that I have owned or used. Products that my family and I have grown to love and would simply prefer to not live without. Over time I will add more and more products. If you would like suggest a product or have a product that you would like me to test out simply contact me and we can take it from there. 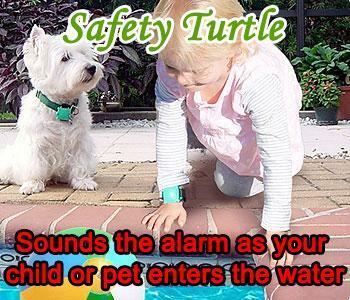 Safety Turtle** alerts you instantly if your child falls into a pool or water hazard The moment your child's Safety Turtle wristband is submerged in water, it activates a powerful alarm. The alarm, packed in a compact, portable base station, can be conveniently positioned in your home or carried to any other pool or water hazard. 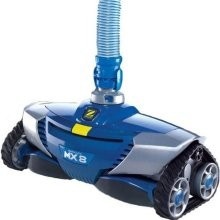 Combat debris with the Zodiac MX 8, ultra-efficient suction pool cleaning robot that cleans faster and more aggressively than any cleaner in its class. It utilizes Cyclonic Suction technology to capture maximum debris while maintaining cleaning power. 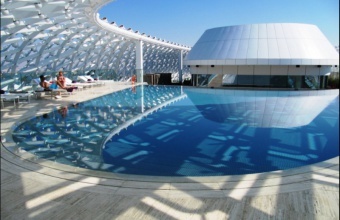 THERAPEUTIC MINERAL ENRICHED WATER De-stress, detox and relax in your e-clear oxygen mineral water swimming pool. Now you can have healthy, oxygen rich mineral swimming pool water, the way nature intended. 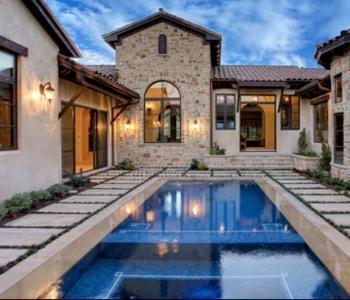 (NO OZONE) E-clear’s innovative patented oxygen technology is the only system that will give you 100% chlorine free, salt free and ozone free crystal clear pool water that is fit to drink.